NEW YORK -- A small pup has some big thanks to give to the NYPD. 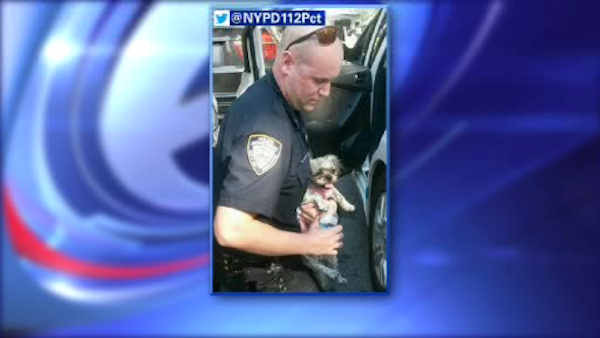 Officers in Queens were able to rescue the dog from a hot car. It happened Sunday in Forest Hills when temperatures were in the high 80's. Someone noticed the dog in the car and alerted police, who were able to get into the vehicle and get the dog to safety. The pup had apparently been left there for more than an hour without water. The pet's owner was issued a summons and was allowed to keep the dog.